Paintings, especially original, untouched art, usually sells for a high price, if the said art was painted by a famous painter. Some prices are exceedingly high, others are not as high as you could imagine them to be. 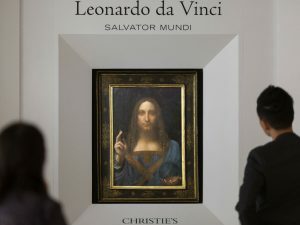 Regardless, here are some of the most expensive paintings that were sold. This painting was sold for an incredible 450 million US dollars. That is a very high price for a single painting, topping every sale known to us. This painting was painted by Leonardo da Vinci and portrays Jesus Christ. Christ is in a blue renaissance outfit, holding a rock crystal in his left hand, while his other hand is performing a benediction. The rock crystal is spherical and believed to represent the entire cosmos and Christ’s rule over it. The painting was sold at an auction in November 2017, to be presented at Louvre Abu Dhabi. 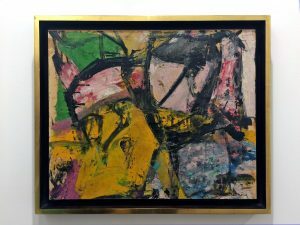 Interchange is an abstract expressionist painting painted by Willem de Kooning, a Dutch-American painter. The painting itself was sold in September 2015 to Kenneth Griffin, an investor, and billionaire, by the David Geffen Foundation for the price of 300 million US dollars. It was not the only expensive painting Kenneth Griffin bought. 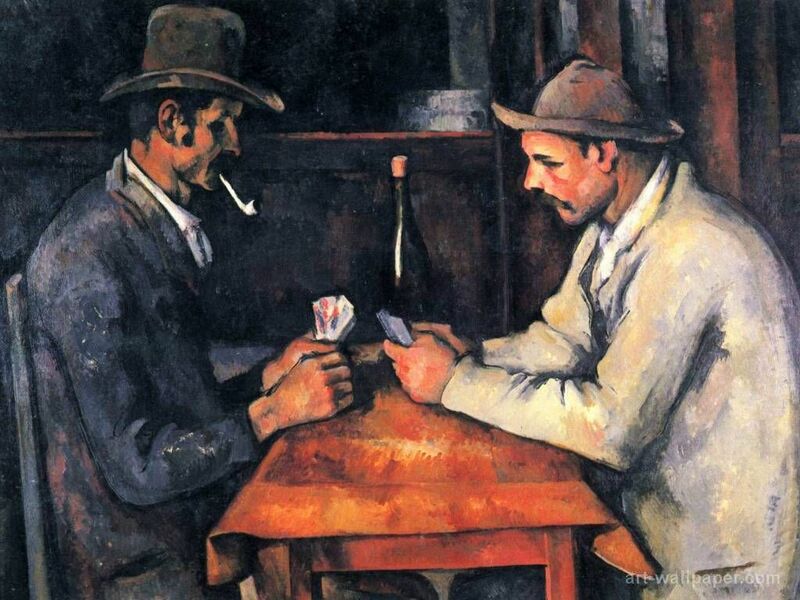 The Card Players are a series of paintings by Paul Cézanne which were painted over the course of 5 years, during the 1890-1895 period. It is an oil painting series and this particular one is probably from 1892 or 1893 and was sold to the Royal Family of Qatar for an estimated 250 to 300 million US dollars in 2011. The exact price was not confirmed. This painting’s name, at least in English, is When Will You Marry?. This was painted by the French post-impressionist Paul Gauguin in 1892. The painting was created following Gauguin’s visit to Tahiti in 1891. The painting represents two women sitting on the ground, the closer one in traditional closes while the one behind her has western-style clothes. The one behind is considered to have an expression of a mudra, specifically her hand gesture, a threatening or warning expression associated with Buddhist and Hinduist culture. The painting was sold for 210 million US dollars to Sheikha Al-Mayassa bint Hamad Al-Thani, the sister of Qatar’s ruling Emir, in 2015. Jackson Pollock was an abstract expressionist painter from America. He was best known for his drip paintings. This painting was created in 1948. It was sold, once again, by the David Geffen foundation to Kenneth Griffin, for 200 million US dollars, in 2015. This painting was created in 1634 and presents a pendant portrait of Marten Soolmans and Oopjen Coppit. The two paintings were purchased together from the Rothschilds by the Louvre and Rijksmuseum for 180 million US dollars in 2016. They are to remain together and be displayed in the Louvre and Rijksmuseum. These are some of the world’s most expensive purchases, top to bottom. There are more, yet these ones are definitely the most expensive ones.